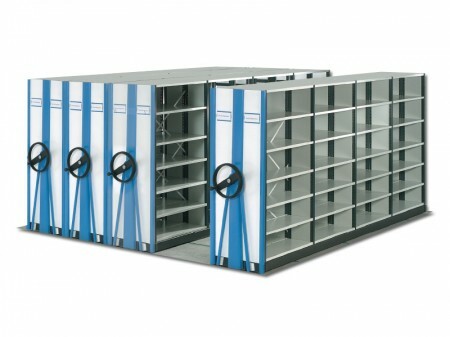 Designed and manufactured in Germany for more than 30 years, Bosco’s Maxitek range of static and mobile storage offers a level of quality and reliability never before seen in the Australian market. The Bosco Static Maxitek is ideal for situations where constant access to archived material is required, where many people require access simultaneously or to house volumes of material relocated temporarily from a primary archive. Static Maxitek provides excellent strength and stability and can be used in conjunction with Maxitek accessories to optimise your storage space. The Static Maxitek system provides great flexibility and can grow with your business. Add additional bays as your storage requirements change. The Bosco Mobile Maxitek should be used wherever large volumes of material are being archived and stored requiring hassle free efficient access at all times. Mobile Maxitek optimises space utilisation, significantly increasing available space by up to 228% when compared to traditional, static shelving systems. For more than 30 years, archives and stores, offices and libraries, public authorities, banks and institutions throughout Europe have appreciated the outstanding quality, dependability and secure operation of the Mobile Maxitek system. The economical and maintenance free solution for smaller loads (max. 2000 kg). Manually operated Maxitek units incorporate easy-movement rollers, high precision runners and ergonomically designed handles, ensuring the shelving units can be moved effortlessly. With extra power for easy movement of several shelf units-at one time, mechanical drive is the ideal solution for medium to heavy loads. Using our standard gearing ratios of 1:1500 or 1:3000 to the shelf load, it is possible to move several heavily laden shelf units effortlessly. Units incorporate an anti tilt mechanism and can be operated by hand-wheel or a steering wheel, both equipped with ergonomically shaped knobs. For large or heavy shelf units or where frequent access is needed, electric drive facilitates ease of handling. Controls at the front of the bay open the desired aisle immediately. This means all shelving units start simultaneously, reducing wait time. 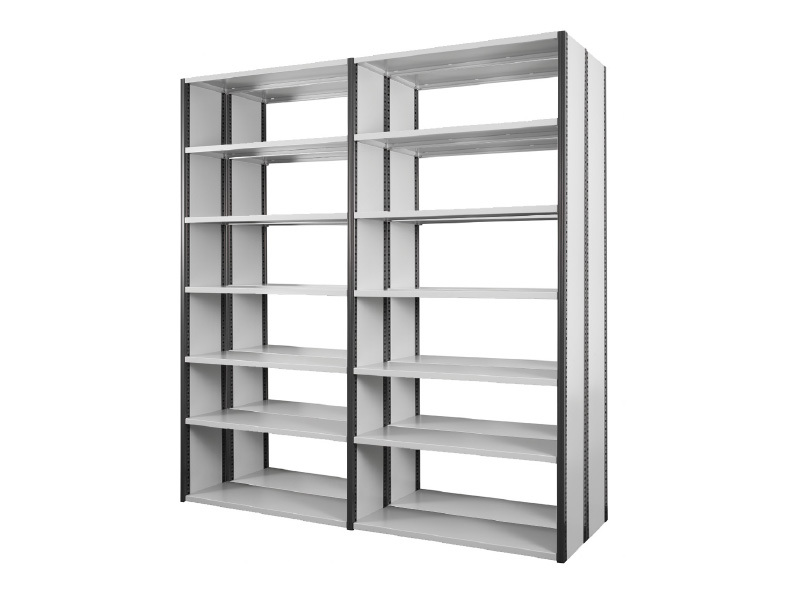 Every shelving unit has its own motor contained within the mobile frame. The archive materials stored remain securely on the shelves at all times, without sliding.